Hey guys,i decided to make a better version of that 100 planets mod! but mine give all the solar systems 100 planets !!!!! Re: 100 Planets mod V2!!!! 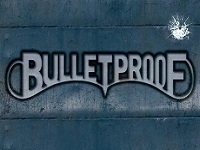 Bulletproof wrote: Where to download it? Oh sorry,didn't knew,I'm new around here. Just noticed that it isn't actually on the first page of the ShoutBox anymore. Let me add an announcement about it .-. Also does this work with the new client, or will I have to recompile it with SporeModder? A bit too many planets for my taste but hey! Good job!